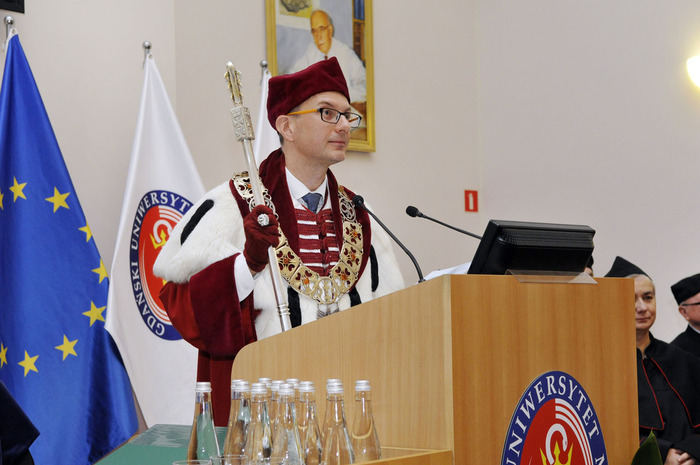 Prof. Marcin Gruchała, M.D., Ph.D. Welcome to the Medical University of Gdańsk. Since 1945 in the famous city of Gdańsk, our institution has cultivated and developed the hundred-year-old, academic and clinical tradition of the Faculty of Medicine of the former Stefan Batory University in Vilnius. Our staff undertake research and teaching according to the highest international standards. At the same time, our clinical hospital provides the most advanced medical services for residents of and visitors to the Pomeranian region. We welcome students and scientists from the whole of Poland and from abroad. With us you may feel safe and enjoy the warmest hospitality in the beautiful atmosphere of historical Gdańsk.